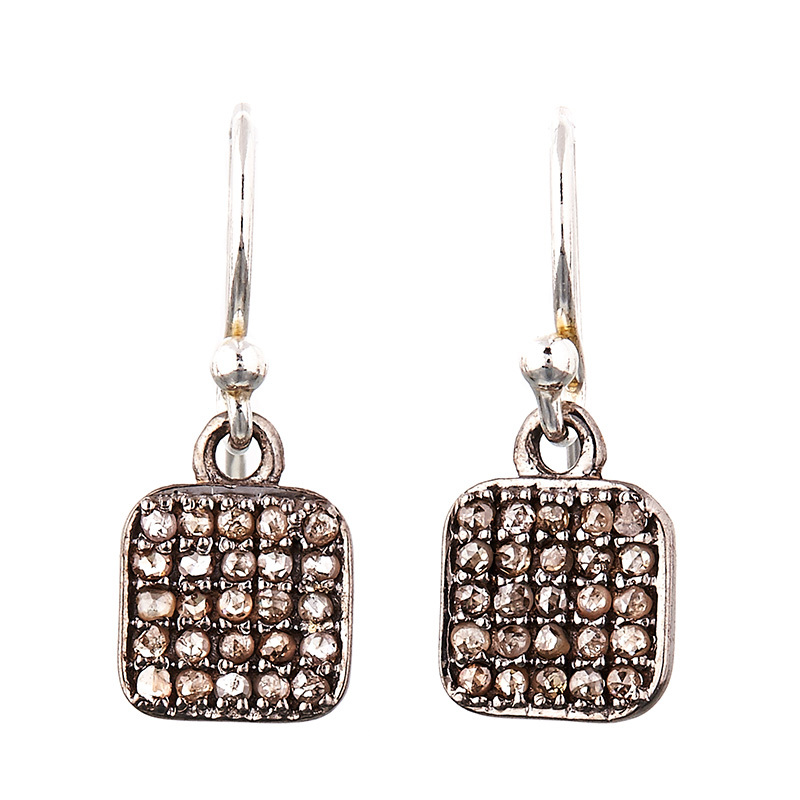 Make your outfit shine with Avindy's Pave Diamond Square Earrings. 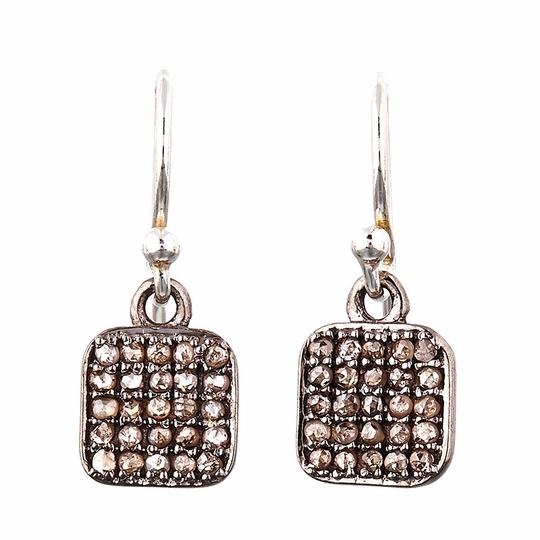 Rows of beautiful pave diamonds are embedded in oxidized sterling silver and are hung from a French hook ear wire. Simple and elegant, these earrings hang gorgeously and capture the light in just the right way to glisten and sparkle at any angle.